Teenage pregnancies in Nandi is at an alarming rate. Hence the need to put heads together in managing the menace and calling up our partners as we take the task. According to current statistics 58% of the population use the right Family Planning methods while 42% either have the wrong information or have none at all. German Foundation for World Population (DSW) is a youth serving organization whose mission is to empower people for a healthy future.Together with The National Council for Population and Development they are taking up the role of identifying and advising the County Government on population issues and value for data for budget allocation and population planning. The NCPD as our partners have over time carried out research and developed policy programs that aid in matching available resources and population growth. They also formulate and co-ordinate population policies strategies and programs for the County. 42% of the population in Nandi live within the means of $1 a day. Hence the need to alleviate poverty levels and enhance the quality of life which is not a choice but a necessity. DSW in partnership with the County Government are committed to creating demand for and access to health information, services and supplies, and to securing the right for a brighter future. We achieve this by engaging in advocacy, capacity development, and family planning initiatives, which makes sure the youth of today are empowered to lead healthy and self-determined lives. 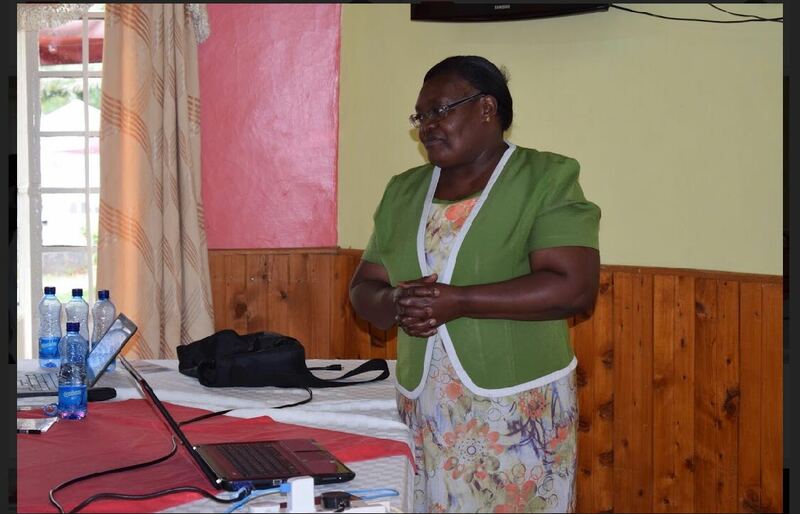 Speaking during the quarterly meeting the County Reproductive Health Officer Christine Andalo mentioned that, building sustainable health talks in the community during briefs andbarazas is essential as it it will pass on the crucial messages to all. She also added that there’s been low female involvement in Family Planning usage which needs to be enhanced. High poverty levels being another factor that contributes to the results. “We are striving for a healthy and smiling population by repositioning family planning as a countywide issue and reducing maternal morbidity and mortality to ensure safe motherhood.” She added. Later, the team visited Father Kuhn High School ,Aldai Sub-County,for mentorship and talks on Reproductive Health.